I’ve made this enough times now that I feel comfortable sharing. It’s based on a recipe I found at Chena Girl Cooks and she based hers on the Barefoot Contessa. The main WOW of this recipe is the meatballs. And I mean WOW. I have been lucky to get a majority of them into the soup. [Because they are SO good people, myself included, simply eat them off the baking sheet and I’m saying, “Hey, those are for the soup, but go ahead and have one.” Who can stop at one?] 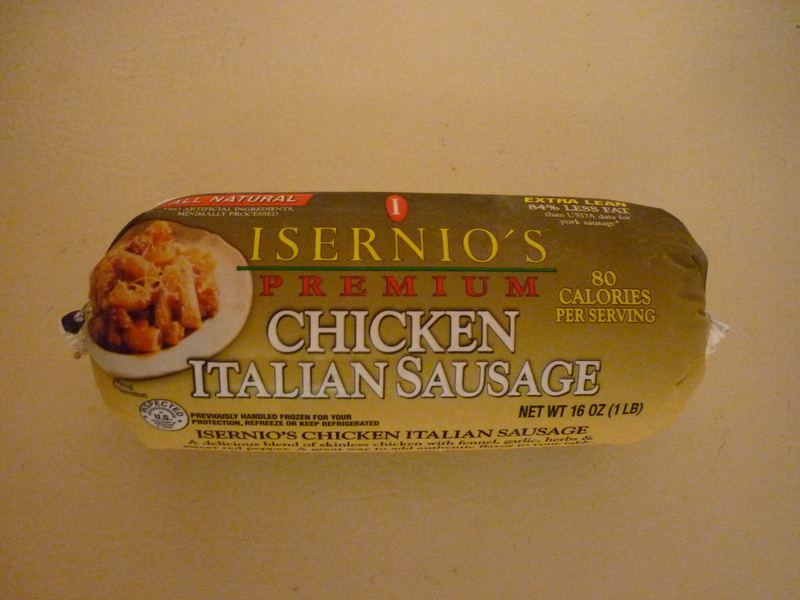 These meatballs would make an awesome party food by themselves. 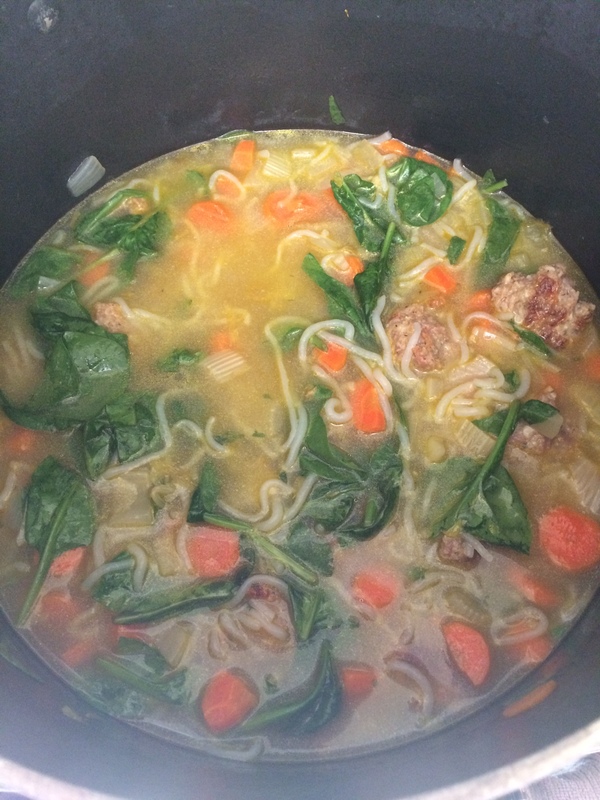 The other adjustments that I’ve made is to use baby spinach instead of kale and to use shirataki noodles instead of pasta stars. I use the shirataki noodles found fresh in the deli case. I don’t know if they even come dried. All that’s necessary to prepare them is to rinse thoroughly with water. I chop mine before putting them in the soup so that’s it’s easier to ladle into bowls. 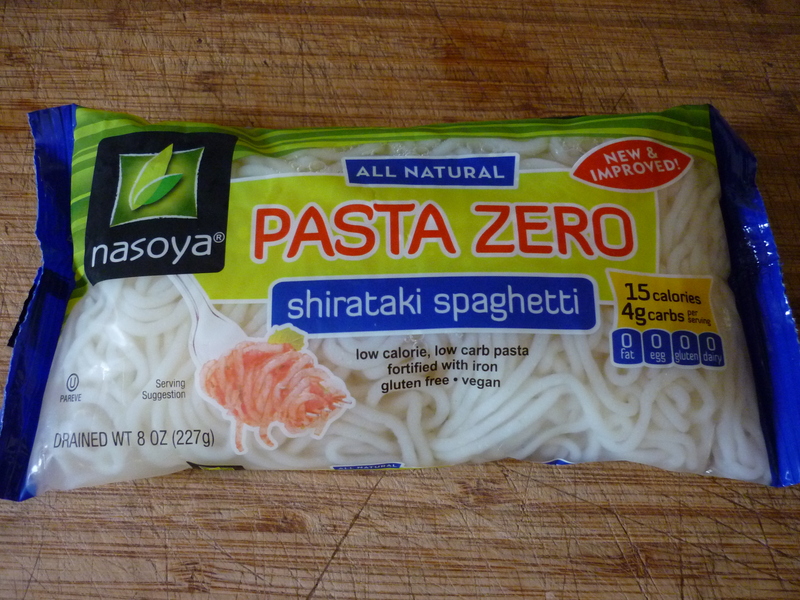 My grocer only carries shirataki spaghetti and shirataki fettucine, if there were something smaller I would use it. 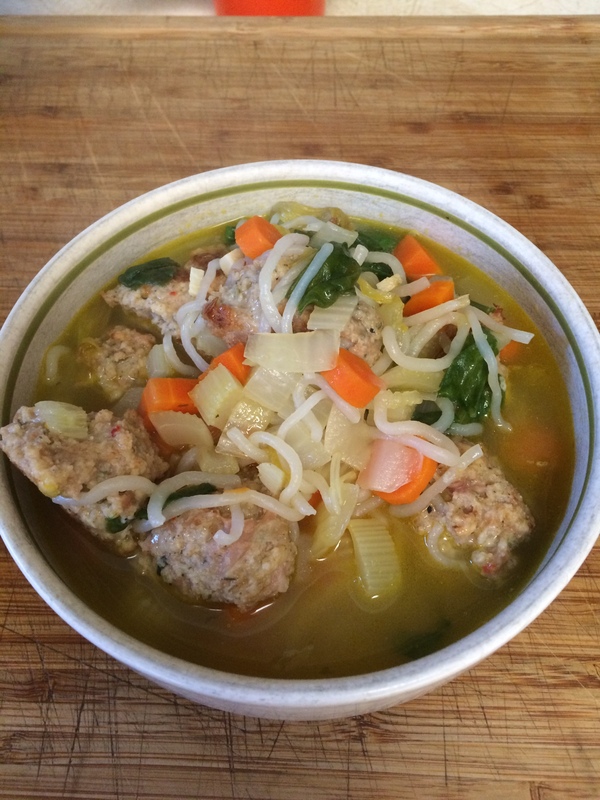 Shirataki noodles are basically no-carb and so mentally it evens out the bread crumbs in the meatballs. Just sayin’. Anyway, because I’m not “cooking” pasta in the soup, I do not use nearly as much liquid. I’ll give you the recipe the way I make it, but you should explore Chena Girl and Contessa, too. Meatballs: combine all ingredients. Drop by rounded spoonfuls on a baking sheet lined with parchment paper. You should have approximately 35 meatballs. Bake for 30 minutes, or until golden brown. Soup: on medium-low heat, add the olive oil to a large soup pot. Cook the onions, celery, and carrots for 8-10 minutes or until soft. Add the stock and wine and bring it to a boil. Turn down to a simmer for a few minutes. Add spinach and dill, spaghetti, and meatballs and cook for about a minute or so to heat through. Ladle the soup into bowls and top with a little extra grated Parmesan.